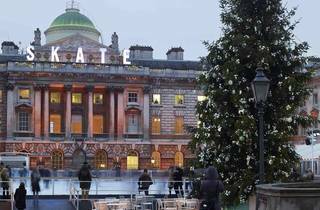 On selected days in December, children's authors read stories beside the Somerset House Christmas Tree. 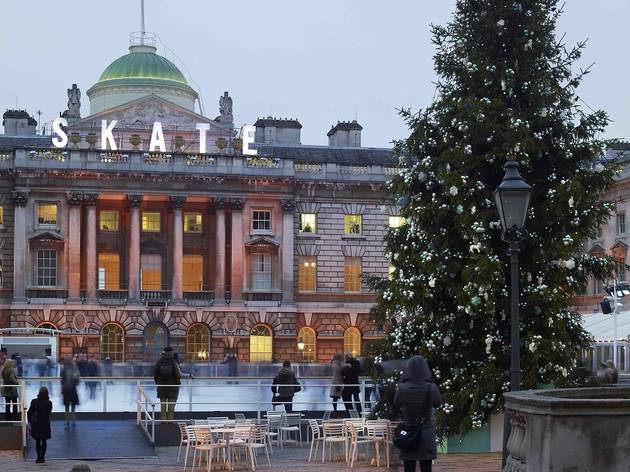 Dec 3: 'Tiffany Story', featuring a tale written especially for the 'Skate' season; Dec 10: Kay Woodward reads from the 'Skate School' series (age 8+); Dec 11: Sue Mongredien reads from 'Oliver Moon' (Age 5-6+); Dec 13: Chris Wormell reads 'Two Frogs', 'Molly and the Night Monster' and other stories (age 5-7); Dec 14: Louise Yates reads 'Frank & Teddy Make Friends' (age 1-5); Dec 17: Sam Gayton reads 'The Snow Merchant' (age 9-11); Dec 22: Joanna Nadin reads 'Penny Dreadful' (age 7+). After the readings there's a chance to meet the authors and have books signed.